This was a coctail at SOHOFAMA. A hip restaurant in Soho area in Hongkong. It was a night full with coctails. Too bad the coctails’ tastes didn’t fit with my tongue palate. The visual however was beautiful. Like this Chinese Zombie, including a fire show burning the sugar. 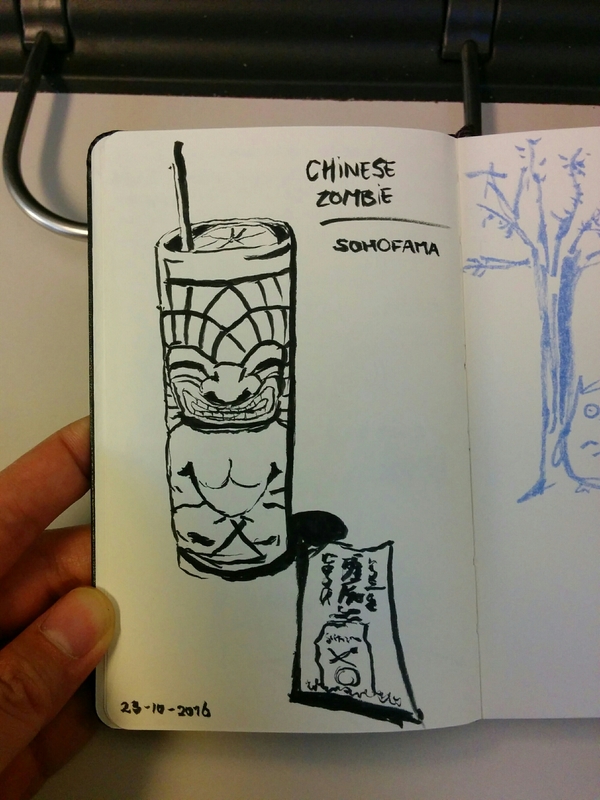 This entry was posted in Drawings and tagged coctail, drawing, Hongkong, ink sketch, sohofama. Bookmark the permalink.